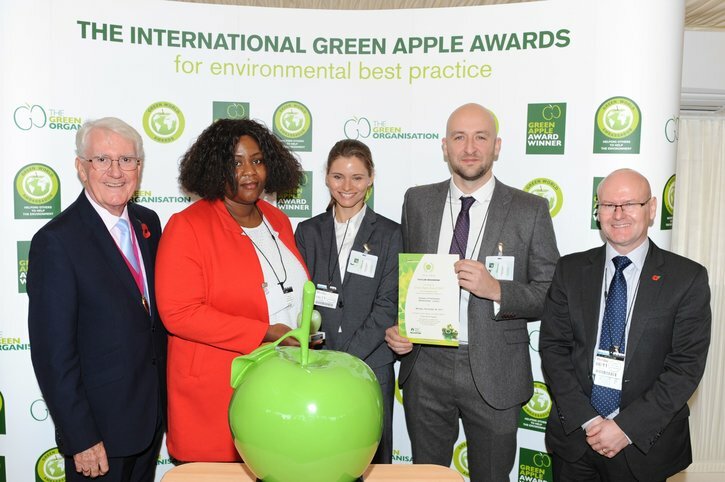 Congratulations to our Victoria Station Upgrade and Crossrail West Stations teams for picking up Green Apple for the Environment Awards! Both teams were given Silver Awards in the ceremony at the Houses of Parliament, with members of the Crossrail West team pictured above. Victoria's Taylor Woodrow BAM Nuttall joint venture were given their award for the use of an internal permit system which has enabled them to effectively manage out of hours noise on the project. The Crossrail West submission covered a range of initiatives such how noise is proactively managed; the installation of a vegetable garden, food waste processor and rain water harvesting in the Haven Green site office; and the stakeholder engagement that has taken place with the local community. Niall Gibbons the Environmental Manager for Crossrail Programme said - “Congratulations! This really shows the great work the environmental team have been doing on the project”.